As a way of closing off another year I thought I’d end the year off with another little fun Freo photo competition with some snaps I took in 2013. The first person to write and tell me where in Fremantle each of the following 10 photos was taken from (not what they were taken of) gets me to buy them lunch in Fremantle at a café of their choosing. If no one gets them all then the winner will be the person with the most correct. Thanks for reading along and commenting on Freo issues throughout 2015. Today I got to do fascinating tour through the Heirloom development in the East End (aka the Cantonment or the Woolstores Precinct – still trying to find a better name). The development i now well progressed and I was deeply impressed by how Match are reusing and adapting the heritage elements of this iconic Freo building. One clever technique was new raised floors with sound-proofing and servicing under them that enabled the old (and rather uneven from many decades of moving wool) original timber floors to be kept and exposed as ceilings in each of the apartments. Very special. Today I got a new view of Freo from the top of the new Atwell Arcade Building behind the High Street Mall. I can see why these offices we so sought after! The Fremantle Men’s Community Shed will get an early Christmas present after receiving a grant of $355 000 from Lotterywest for the construction of a new men’s shed. The grant was made possible through the City of Fremantle’s successful funding application to Lotterywest and will go towards the upgrade and relocation of the current men’s shed from Nannine Avenue in White Gum Valley to Hilton Park Bowls Club at Shepherd Street, Beaconsfield. Its new location will provide numerous benefits including the activation of an underused space and creating social connections between the bowls club, the Hilton community and Men’s shed community. This will be a huge boost to the local community in the area and was happy to see the concepts from the men’s shed community consultation come to fruition. This grant will ensure the new shed will come to life and will become another friendly place to bring people together and teach them wood and metal work skills they can take home with them. The total cost of the new men’s shed is about $460 000 with additional funding provided by the City of Fremantle. The Fremantle Community Men’s shed is one of the oldest Men’s sheds in Western Australia and is a place for many community members (both male and female) to learn the skills of wood and metalwork. The shed also provides social interaction and facilitates many projects that target hard to reach and vulnerable groups. The shed has also become a popular reference point for other community men’s sheds trying to get established. Following yesterday’s decision by the Supreme Court which ruled that the WA Environmental Protection Authority’s approval of the Perth Freight Link was ‘invalid’, four councils have reiterated their support for an immediate commitment to build the Outer Harbour in Cockburn Sound. The Mayors of Cockburn, East Fremantle, Fremantle and Kwinana say the outer harbour is seen by many as the ideal solution to address WA’s growing freight logistics issues. Cockburn Mayor Logan Howlett said diverting freight via an extended Tonkin Highway to a new outer harbour makes economic, financial, social and environmental sense. Town of East Fremantle Mayor Jim O’Neill said the development of the outer harbour in Cockburn Sound is a more visionary investment than trying to boost the sale price of an ageing port for short term gain. City of Fremantle Mayor, Brad Pettitt said the City of Fremantle has always clearly supported the planning and development of an outer harbour in Kwinana as a sensible, long-term solution to container freight issues and hopes the court’s decision will encourage further discussion around this proposal. Kwinana Mayor Carol Adams said a new Outer Harbour would be a strong employment and economic driver which would bring much needed jobs to the region. “An outer harbour in this region is the future of port trade in WA. The port will create tens of thousands of jobs and generate billions in annual revenue to the state,” Mayor Adams said. And all four Councils agree, if there is one thing that is almost unanimously supported across the State, even by the government itself, it’s the need for an Outer Harbour. The Councils have united in their commitment to continue to push for the Outer Harbour along with other key stakeholders from a broad cross section of the community and business sectors. For those of you that didn’t catch this on ABC 1 news, Freo has joined up with Vincent, Bassendeen, Vic Park and other Perth Councils (as well as the Minister for Local Government) to take steps towards making our councils more transparent and accountable. While the Local Government sector is already pretty good in this regard I think there are some steps we can take to make it even better. Thanks to John Carey for his leadership on this. Freo will be looking at implementing an online gift register and donations register and other aspects next month too. The Western Australian Government plans to follow Victoria’s lead, by setting up a website allowing ratepayers to compare the best and worst performing councils. 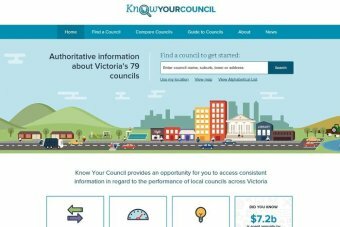 Similar to the My School website, the Victorian Government’s website, launched last month, includes information on rates, council expenses and service delivery across a range of areas, including road construction and library costs. WA Local Government Minister Tony Simpson said he hoped the move would improve transparency and accountability across the state’s 138 local governments. Mr Simpson said it would start with basic details on council spending and rates but the plan was to expand it include details such as the time taken by each council for planning and building approvals. “So we understand where our rates are going, how much we are spending on councillors, how much we’re spending on roads, how much we’re spending on libraries, so that money is quite clearly what they call transparency of where that money is going,” he said. “I think most ratepayers want to know where their money is going, how their rates are being spent. “Obviously from that I would love to grow that and talk to the Minister for Planning around how we can get some transparency around planning applications, building applications [and] I think that would be really good to actually show. The Government has already flagged plans to give the Auditor-General the powers to scrutinise the finances of all councils and Mr Simpson said Cabinet had already approved the drafting of legislation to enable that. A group of mayors from the Fremantle, Vincent, Victoria Park and Bassendean councils have joined forces to improve transparency in their sector and today they met with Mr Simpson to discuss the new measures. All supported the Government adopting the Victorian model. Vincent Mayor John Carey said at the core of democracy was ratepayers’ right to know and to access critical information on their council with ease. “The sector has two choices, embrace change, or be dragged kicking and screaming into the 21st Century … unfortunately I think it will be the latter,” he said. Fremantle Mayor Brad Pettitt said currently information was hard to find and ratepayers had to spend a lot of time digging through annual reports and other documents to get access to it. “What this will do, is it will help both ratepayers understand where their council sits, and the councillors, and actually really help us as a sector get better,” he said. Mr Simpson said details on each local government’s “financial sustainability score” would be made publicly available first, but he hoped the more comprehensive website to rate councils on other services they delivered across a range of areas would be running by mid-next year.